Ιδανικό για χαλάρωση και διασκέδαση, το Amalfi Hotel Seminyak βρίσκεται στην περιοχή Περιοχή Σεμινιακ της πόλης Μπαλί. Από εδώ, οι επισκέπτες μπορούν να έχουν άμεση πρόσβαση σε όλα όσα η πόλη έχει να προσφέρει. Από τη βολική της τοποθεσία, η ιδιοκτησία προσφέρει εύκολη πρόσβαση σε κορυφαίους προορισμούς της πόλης. Το Amalfi Hotel Seminyak προσφέρει επίσης πολλές εγκαταστάσεις για να εμπλουτίσετε την διαμονή σας στη Μπαλί. Τα 24ωρη υπηρεσία δωματίου, δωρεάν WiFi σε όλα τα δωμάτια, 24ωρη φύλαξη, ημερήσιος καθαρισμός, υπηρεσία ταξί είναι μόνο λίγες από τις εγκαταστάσεις που κάνουν το Amalfi Hotel Seminyak να ξεχωρίζει από τα άλλα ξενοδοχεία στην πόλη. Όλα τα καταλύματα διαθέτουν τις απαραίτητες ανέσεις για να εξασφαλιστεί μια ασυναγώνιστη αίσθηση απόλαυσης. Εξάλλου, το ξενοδοχείο διοργανώνει πολλά ψυχαγωγικά δρώμενα έτσι ώστε να έχετε πολλά πράγματα να κάνετε κατά τη διαμονή σας. Με την ιδανική του τοποθεσία και τις καταπληκτικές του υπηρεσίες, το Amalfi Hotel Seminyak θα σας ευχαριστήσει σε πολλά πράγματα. Τα παιδιά ηλικίας κάτω των 5 ετών διαμένουν δωρεάν εφόσον χρησιμοποιούν τα υπάρχοντα κρεβάτια. Τα παιδιά ηλικίας 6-12 ετών θα χρεώνονται 117,000 IDR για το πρωινό ανά ημέρα. Had a lovely stay here. The hotel is very clean and feels like home. The place is pretty quiet, relatively quite removed from the hustling and bustling of the tourists. The internet is decent. Pretty good stay, especially considering the price. One caveat: it's probably essential to your comfort to have a scooter if you are going to stay in this hotel. 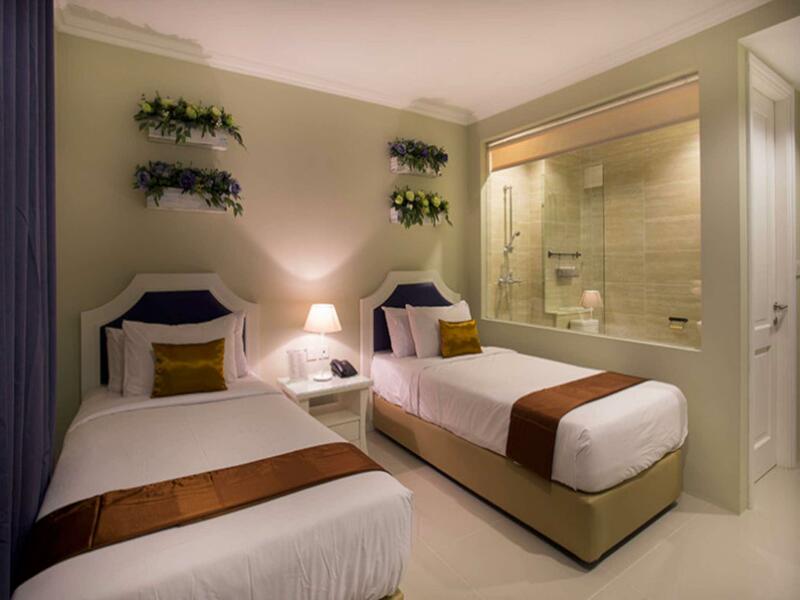 Cozy rooms, near the center of seminyak. Clean and quiet area. We stayed here 4 nights. Overall, we enjoyed our stay here. The hotel is not too big, but is nicely decorated. They provide good security, there is always security in front of the hotel and you need to scan your room card in order to get to your floor. They let you pick your breakfast from your menu, made to order and their food is excellent. The water pressure in the bathroom is very good, although the bathroom may be slightly small but beautifully decorated (I assure it is adequate). The place all around the hotel is very clean. The hotel staffs are very very friendly and offer good customer service. The swimming pool is actually quite small, more like a slightly oversized bathtub than a pool. So if you are looking for big pools, you may want to consider elsewhere. 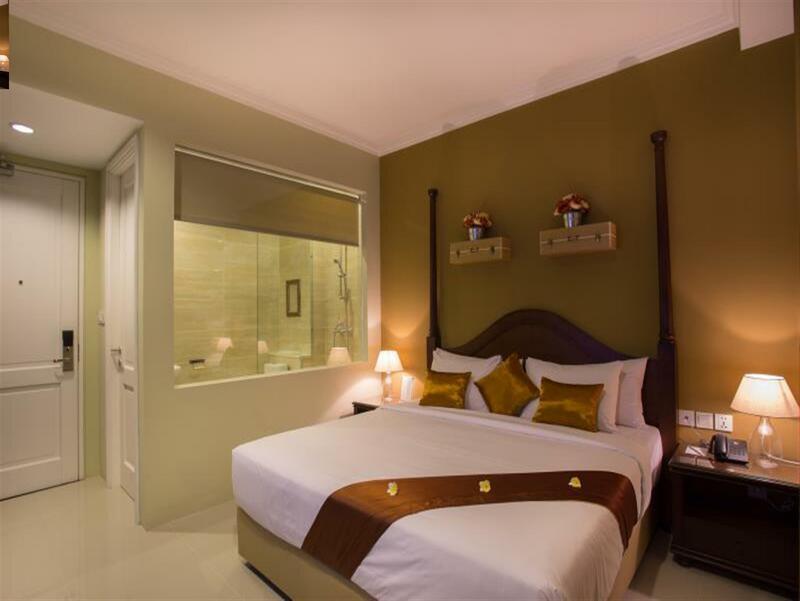 The hotel has very good location in Seminyak, short walk from the main street where there are many things to see. The downside is that you have to walk through a very dark alley in order to reach the main street. very cute hotel, great for a girls trip. decor is cute. breakfast was fantastic. location is pretty central and there are lots of shops, restaurants and spas nearby. small pool but nice rooftop area and the beach is a 10min walk. I loved this hotel. The home decor was so cute. The staff were really nice. We had no issues with the wifi. Our room had clean sheets and towels. The only negative comment was that it took ages to receive a meal. What an experience to have 3 nights in this Hotel. Staff were very friendly, good location, great breakfast (especially for their egg benedict). 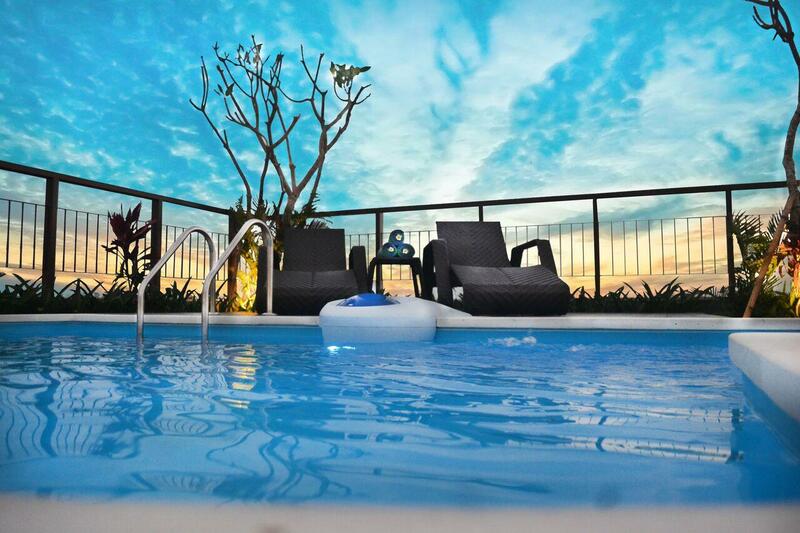 Fast wifi internet, amazing pool at the rooftop and instagramable for everyspot in this hotel. I'll stay again in this hotel when i goes to Bali next time. hotel itself is very cute and in a quieter area. Staffs were nice but hotel didn't have enough water provided (which i would buy) and towels were limited after swimming on the rooftop. But breakfast was pretty good! Small friendly hotel, in a quieter part of Seminyak .... but within walking distance to Seminyak Square. The rooftop is a brilliant place to relax, although only 2 sundaes (plus 4 beanbags) and the pool is tiny, but adequate for a dip to cool off. I was only there for a couple of nights but i couldnt complain about the hotel itself. I did have some drama with the airport transfers and im sure i got overcharged but the room was nice bathroom was clean and food was good - the breakfast wasnt as nice though so would opt out of the included breakfast there are nice cafes around to grab food. All in all good stay perfect for someone not looking to spend a whole lot of time in their hotel. 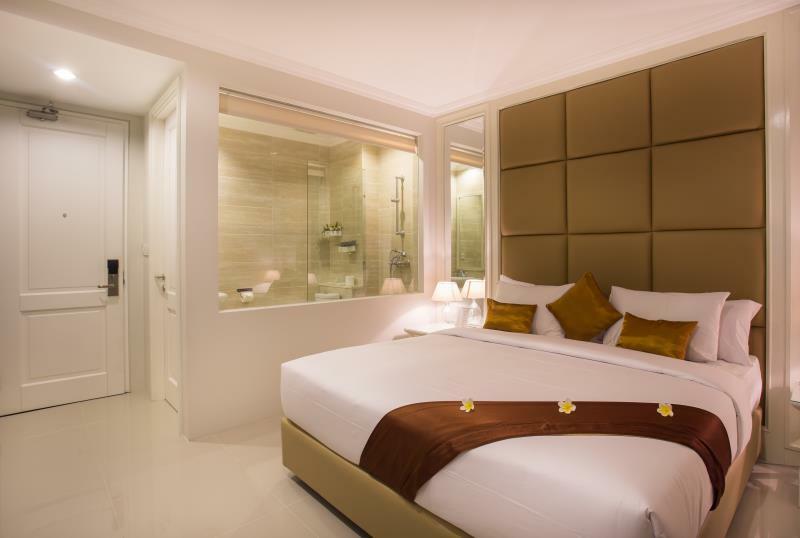 The location is very strategic, close to famous club in Seminyak like Woobar and Potato Head, loved the breakfast, the deluxe room we stayed was big and clean, the staff are friendly and informative, the hotel themed is very cute and creative. Very recommended ! As a European living and working in Asia for the last 18 years, you become accustomed to the unusual and unexpected on your travels, but let me tell you our experience at The Amalfi, Seminyak was truly horrendous!!! This hotel must be avoided at all costs. The list is too numerous to complete here, but a few of the highlights?! Include food poisoning for myself and my son, a balcony onto a building site with a door that engineering said couldn’t lock which led to us sharing 3 nights with an army of ants in the bed, clothes and even toothpaste, stinking drains 24 hours a day, no hot water and a complete absence of management or conscience from the owners. Moved to another hotel which was great. Great hotel, great location! Rooftop pool was a bit deceiving as pictures make it look bigger but it is more like a spa. No staff at the rooftop bar so was very difficult to order drinks and food and getting pool towels. Had to go back down to reception to ask for drinks and towels. But great place will definitely stay again!! This place is very strategically located to all the nice restos and walking distance to bars such as Hotel Mexicola / Potato Head Beach Club. Their egg and avo toast are to die for! I love how it's themed per room. The staff are very accommodating and polite. We only stayed at the Almafi 1 night as we had a villa booked for the rest of our stay. This place is great value for money and the staff are amazing. So friendly and courteous even down to the security. The lobby is well designed bright and clean, as well as the restaurant.They have a great breakfast spread, a la carte but tasty options so get this included in your stay! The room was clean and had all you needed. For the price of this hotel you can't go wrong. It is also just a stroll away from the shops and restaurants and down a quite end road so no traffic disturbing you at night.